Read by nearly 43,000 sociologists...and counting! ASA offers print advertising in 12 academic journals and online advertising across 13 academic journals. These journals are read by professional sociologists, researchers, students, and faculty. For detailed information about each journal, including circulation, deadlines, and specs, please select the publication's title below. 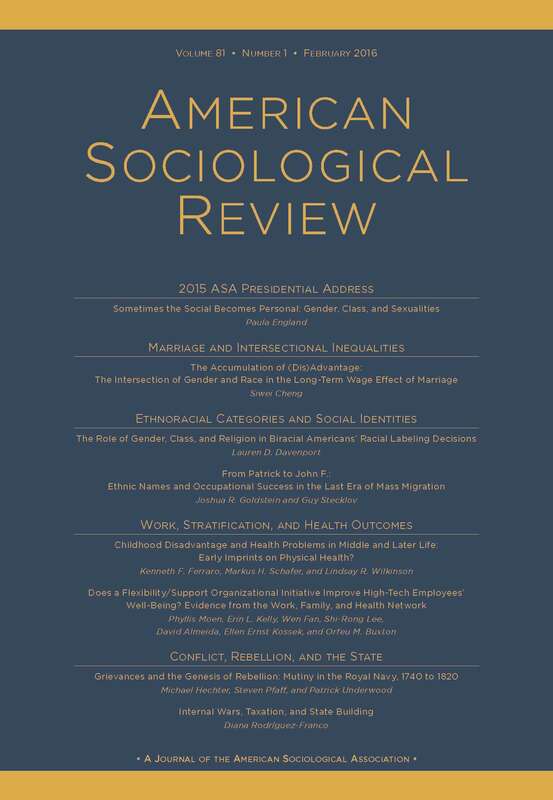 The American Sociological Review is the most respected, wide-ranging, and widely circulated journal in sociology. Because of its reputation, it has first access to the best articles in the discipline. This is the journal on every sociologist's shelf. 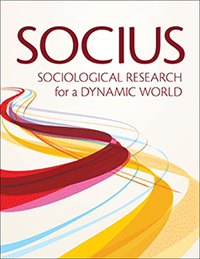 American Sociological Review publishes work of interest to the discipline in general: new theoretical developments, results of research that advance our understanding of the most fundamental social processes, and important methodological innovations. Like all ASA publications, American Sociological Review emphasizes exceptional quality. Unlike the ASA's more specialized journals, ASR focuses on works that have general bearing on the knowledge of society. The Americn Sociological Review was ranked first ot of 142 in siociology journals by Thomson Reuters, 2015. Learn more about ad rates and deadlines for the American Sociological Review. 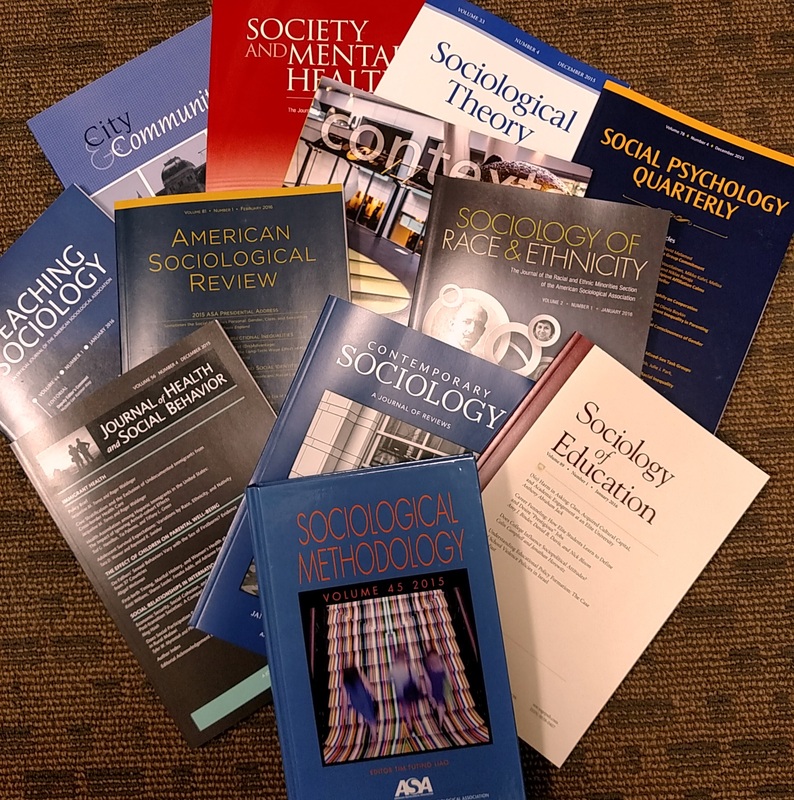 The quality and quantity of sociological literature have increased to the point that the ASA has devoted an entire journal to book reviews. Contemporary Sociology is designed to give new thrust to criticism and reviewing within the field in a variety of formats such as review symposia and review essays. Contemporary Sociology publishes reviews and critical discussions of recent works in sociology and in related disciplines that merit the attention of sociologists. Since not all sociological publications can be reviewed, a selection is made to reflect important trends and issues in the field. Learn more about ad rates and deadlines for Contemporary Sociology. Directed to anyone interested in the latest sociological ideas and research, Contexts seeks to apply new knowledge, stimulate fresh thinking, and disseminate information. Its articles, both commissioned and unsolicited, synthesize key findings, weave together diverse strands of work, draw out implications for policy, and debate issues of controversy. The hallmarks of Contexts are accessibility, broad appeal, and timeliness. By design, it is not a technical journal, but a magazine for diverse readers who wish to be current about social science knowledge, emerging trends, and their relevance. It regularly publishes letters and opinions, brief notes on recent findings, feature articles with comments, and essay reviews of books. 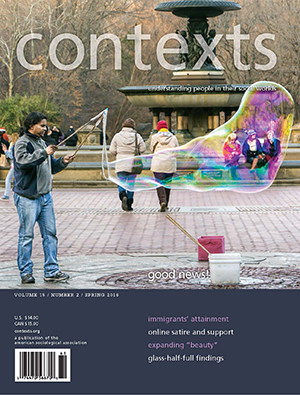 While significant as scholarship, articles published in Contexts will be prepared in an easy and engaging style. It aspires to be a meeting place for discussion among social scientists and the public. Learn more about ad rates and deadlines for Contexts. The Journal of Health and Social Behavior is a key journal for sociologists and others concerned with problems of health and illness. It features sociological analysis of health-related institutions, occupations, programs, and behaviors. The Journal of Health and Social Behavior publishes reports of empirical studies, theoretical analyses, and synthesizing reviews that employ a sociological perspective to clarify aspects of social life bearing on human health and illness, both physical and mental. Its scope includes studies of the organizations, institutions, and occupations devoted to health services as well as studies of the behavior of actual and potential recipients of these services. 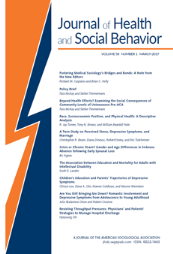 Learn more about ad rates and deadlines for the Journal of Health and Social Behavior. 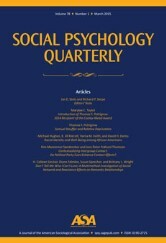 Social Psychology Quarterly is the ASA's official journal in the field of social psychology. Focusing on society's impact on the individual and on individual interaction in small groups and communities, the journal gives special attention to such matters as attitude measurement, laboratory experiments, and theories of social processes. Since the journal reaches many social psychologists who are not members of the ASA, it offers an important additional advertising market. SPQ publishes papers pertaining to the processes and products of social interaction. This includes the study of the primary relations of individuals to one another or to groups, collectivities, or institutions, and also the study of intra-individual processes in so far as they substantially influence, or are influenced by, social forces. Learn more about ad rates and deadlines for Social Psychology Quarterly. Society and Mental Health publishes original articles that apply sociological concepts and methods to the understanding of the social origins of mental health and illness, the social consequences for persons with mental illness, and the organization and financing of mental health services and care. 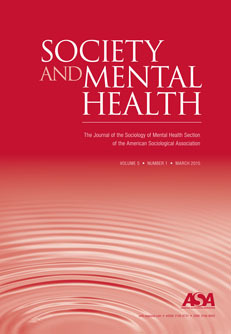 Society and Mental Health publishes articles that advance the sociology of mental health and illness, stimulate further research, inform treatments and policy and reflect the diversity of interests of its readership. Learn more about ad rates and deadlines for Society and Mental Health. Description: Sociological Theory publishes work in all areas of theory, including new substantive theories, history of theory, metatheory, formal theory construction, and synthetic contributions. Although aimed at a sociological readership, its orientation is pluralistic and it welcomes contributions by scholars in other fields. Peer reviewed and published quarterly, Sociological Theory is renowned for featuring the best international research and scholarship. Learn more about ad rates and deadlines for Sociological Theory. Description: Sociological Methodology is the only ASA periodical publication devoted entirely to research methods. It is a compendium of new and sometimes controversial advances in social science methodology. Contributions come from diverse areas and have something new and useful—and sometimes surprising—to say about a wide range of methodological topics. Sociological Methodology seeks qualitative and quantitative contributions that address the full range of methodological problems confronted by empirical research in the social sciences, including conceptualization, data analysis, data collection, measurement, modeling, and research design. The journal provides a forum for engaging the philosophical issues that underpin sociological research. Papers published in Sociological Methodology are original methodological contributions including new methodological developments, reviews or illustrations of recent developments that provide new methodological insights, and critical evaluative discussions of research practices and traditions. Sociological Methodology encourages the inclusion of applications to real-world sociological data. Sociological Methodology is published annually as an edited, hardbound book. Lean more about ad rates and deadlines for Sociological Methodology. Sociology of Education provides a forum for studies of education and human social development by scholars in all the social sciences and from all parts of the world. In publishing analyses of educational institutions and educational processes at all levels, its relevance extends to educational leaders and professionals of a wide variety. This journal is a response to the rapidly rising concern over education and human social development, both within the social sciences and beyond. 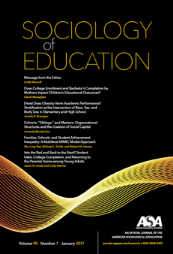 Sociology of Education publishes papers on educational processes and on human development. The research may focus on the individual, institutions, and structural arrangements among institutions bearing on education and human development. Learn more about ad rates and deadlines for Sociology of Education. The official journal of ASA’s Section for Racial and Ethnic Minorities, Sociology of Race and Ethnicity will publish the highest quality, cutting-edge sociological research on race and ethnicity regardless of epistemological, methodological, or theoretical orientation. 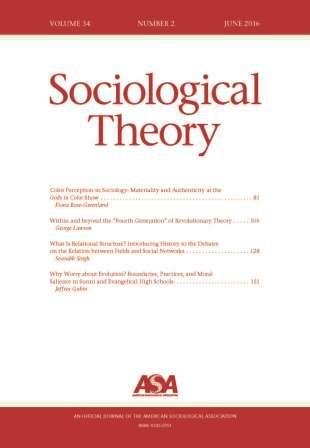 While the study of race and ethnicity has derived from a broad and deep tradition of interdisciplinary, sociology indeed has often been at the forefront of scholarly understanding of the dynamics of race and ethnicity; yet, there exists no journal in sociology devoted to bringing together this important theoretical, empirical, and critical work. Sociology of Race and Ethnicity will provide a fulcrum upon which sociologically-centered work will swing as it also seeks to provide new linkages between the discipline of sociology and other disciplines and areas where race and ethnicity are central components. Learn more about ad rates and deadlines for Sociology of Race and Ethnicity. Learn more about ad rates and deadlines for Socius. Teaching Sociology publishes articles, notes, and reviews intended to be helpful to the discipline's teachers. Articles range from experimental studies of teaching and learning to broad, synthetic essays on pedagogically important issues. Notes focus on specific teaching issues or techniques. The general intent is to share theoretically stimulating and practically useful information and advice with teachers. Formats include full-length articles; notes of 10 pages or less; interviews, review essays; reviews of books, films, videos, and software; and conversations. Learn more about ad rates and deadlines for Teaching Sociology.